Finding the right PT job is key to prevent burnout, become debt free, and really succeed at helping others! The right job for you entails a combination of finding a position that will achieve your goals including your personal, professional and financial goals. 1.What are your financial goals? 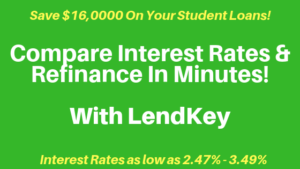 Is your goal to repay your student loans and become debt free? Are you working towards public service loan forgiveness? Is your goal to be able to purchase your first home or car? Is it to be able to afford your child’s college tuition? 2.What are your personal goals? Do you want to work 4 x 10 hour days? Do you want to work with patients one on one? Do you want to work near home or remotely? Do you want to retire in 1,5, 10, 20 years? Do you want to own your own clinic one day? 3.What are you professional goals? Where do you want to be in 5 years as a therapist and can that job take you there? For example, do you want to be a supervisor one day? Will that clinic grow you to that point? Do you value and desire more mentorship? Are there additional skills you really want on the job? Such do you want to find a job that is part outpatient and part inpatient? Do you want to find a job that connects you with other professions so that you can interact with say clinical directors, social workers, and nurses? If you are struggling to discover your goals, then think of your passions! Do you love helping others with specific tasks or do you love helping a specific age your or injury. Do you love being the go to person or is that something you would totally hate? Do you love working with a big or small team? What do you love to do and what will sustain you for years to come? 2. Now you know what positions you want to apply for, lets make sure your application is amazing! Here are key resume tips to make sure employers pick you! -Have a header that includes your: name, phone number, email, city and state, and your license and what states you are licensed in. -Next is your education header with the name and date of your undergrad and professional schooling and any distinctions you want to add. -Next is an experience header with each job name, location and start and end dates. I add one sentence under each job that summarizes my experience. -Lastly is a distinctions or special skills header with any thing that would make you stand out. This could be writing, marketing, web design, graphic design, any thing to help you grow your career as well as your potential job. 3. Now that you have used your amazing resume and cover letter to score an interview, lets go over how to ace this interview! First: Prepare for the interview. -Research the facility, looking at the type of patients they treat and how you would be good fit for them. -Search for something lacking in their department and how you can fix it or add to it. Second: Lay out your clothes and make sure they are clean and fit. You want to look professional for your interview. Third: Make sure you give yourself ample time to prepare for the interview on the day of the actual interview. Drive to the facility at least 30 min early to make sure you get their on time and to calm your nerves. Turn off your cell phone! Fourth: Bring a copy of your resume and cover letter and even a copy of your answers to common questions. 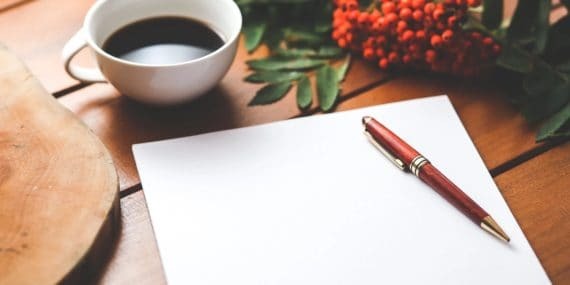 Hand the resume and cover letter to the interviews and keep the copy of answers for yourself in case you get nervous so that you can look to this for answers. Five: Answer with confidence and professionalism. Highlight your strengths and how you are growing professionally. Even if you are not sure if this position is right for you, ACT LIKE IT IS. Wait till you get home to decide if this is the right job for you. But in the interview, pretend it is! Interact with mild humor and smile. Ask important questions and be interested and present. Six: Thank the interviewers for their time and say that you look forward to hearing from them. You could also ask their timeline for getting back to you with an answer. 4. Key questions to ask in the interview, after the interview, or to look for in the job application. Weekends? Will the weekends be overtime or regular rate? Will I have to take off a weekday in exchange? Do I get holidays off? Vacation time? Sick time? Productivity demands? How long are evaluations and treatments? How many patients do you need to see daily? Number of different therapists and supervisors? Documentation system and how long does it take to document daily? Is documentation time included in my work hours and pay? What other responsibilities are expected? Fun environment and connection with the other therapists: Is this an environment that you look forward to working in for 1,5,10 years? Pay rate: For example, $70,000 vs $40.00/hour. Is this a salaried or hourly pay rate. Student loan reimbursement: How much? Over how many years? How long do you need to work to secure this reimbursement? Mentorship: Is this a formal program or non formal program? Is this with one or several therapists and in a variety of environments? Orientation: Is there a 1 day, 1 week or 1 month orientation or will you be expected to carry a full case load on day one? Career growth and upward movement: What is the track to supervisor, director or senior therapist? Learning environment: Are you able to float to different units? Are you able to work in dual settings? Are you able to shadow various therapists? Not really in the application but totally consider you commute and parking! I have worked in Los Angeles and at times the commute could be horrible! If its an amazing job but it takes you hours to get to work then you are going to burn out quick even if its a great position. You could choose that assignment with the intent of moving closer shortly after, but a commute an longer than 90 min each way should be avoided. Parking can be horrible too! If you are having to pay hundreds a week for parking and it takes you hours to find parking just to get to work then just consider how this affects your work – life balance. 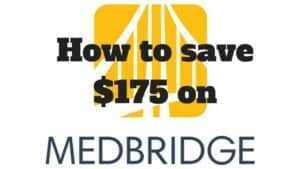 What does your company reimburse: CPR, license, continuing education? Does your company off sign on, renewal, extension bonuses? Does your company have a specific mentorship program? Does your company offer student loan reimbursement? Explain your benefits: do you have medical, vision, dental, life insurance, workers compensation, disability? On what day do the benefits begin? Does your company offer a 401K plan and when does it begin? Also, what is the vesting and the vesting period? Does your company provide furnished housing or housing and meal stipends? Are you able to communicate with me at any time, if I have questions? What type of relationship as a recruiter do you have with your travelers? Explain your communication style? Do you provide relocation reimbursement to locations? 5. Which position should you choose? How to know what job to say YES to! Go back to your goals and you and your families needs. 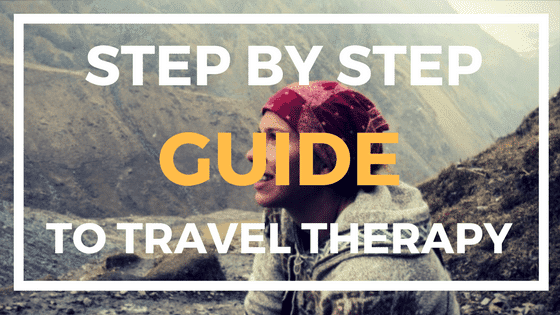 To learn all about the exact steps to get started in travel therapy click here! This page will take you to the travel therapy FREE mentorship program that includes a mentor call, my 180 best selling Ebook on travel healthcare and my 2 hour online course all for FREE! If you are applying to a lot of positions, then you may be overwhelmed by the various job applications and information. As a result compile this list from the application, the interview, and any other resources. Compare your goals to your spreadsheet. Which position checks off the most of your goals. Which position meets your personal, professional, and financial needs. Then ask yourself if you could see yourself in that job 1-5 years? Which ever position meets the most of your goals and your gut agrees with you then I think you have a winner! 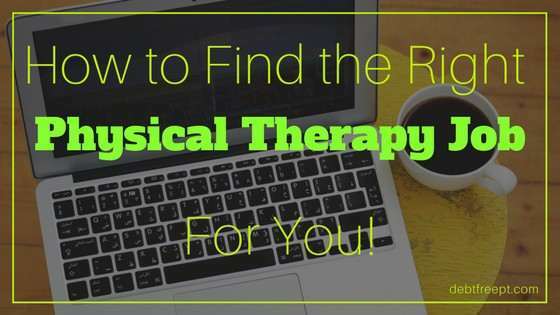 Don’t stress about being in a physical therapy job forever! Many people only stay in a position for 1-3 years. Its the wave of the future. So just focus on what this job can do for you today and tomorrow. Don’t worry about being in the position for forever because you’ll likely fall in love and have to move. Or maybe you’ll get laid off or your company goes under. Lots of things can happen. Your goals will change and what you thought was your forever job is likely just your 3 year job. As you age, your needs and goals will like adapt. You’ll start to focus maybe less on job growth and more on spending time with your family or growing your family. How can you compare your salaries? Use this salary calculator from the site Neuvoo to help calculate your take home pay after taxes! I hate negations but it has to happen. Budgets are lower than ever, and companies will low ball you. But, I want to share with you my tactics to easily and with little stress get an extra $5,000! 2.Prepare talking points where you can specifically use examples to prove your worth and why they should pay you more. Know your value. 3.Use email to ask without the fear of confrontation. If they still say “No”, then call them personally. You have to negotiate! It you don’t, you will be resentful about your position. In addition, just earning another $5000 per year quickly adds up. Working 10 years earning an additional $5,000 per year actually means that you earned an extra $50,000 versus if you would have never negotiated. So when you ever think about money, think about how much that is over 5, 10, 20 years! You’ll become a lot more motivated then to negotiate. According to physicaltherapy.org and many other websites, the average PT salary is $86,000. Now this is the average salary. Salaries will vary based on geography, experience, your practice area and other special traits or certifications. The lowest 10% can earn $60,000, the 25% earn $71,000, 50% earn $84,000, and 90% percentile can earn $117,000. According to their site, the highest paying states are Alaska, New Jersey and Nevada. According to their site, the highest paying settings are home health, consulting and administration. Where to find PT jobs? Inspired to Travel? Start Your Travel Physical Therapy Career Today! Sign up for my FREE mentorship program to learn how to start your travel therapy career and score your first travel position! Simply click here to go directly to my scheduling page to choose a time to chat with me!